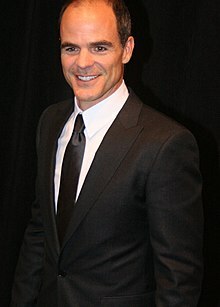 Michael Joseph Kelly (born May 22, 1969) is an American actor. He is best known for his roles in movies such as Changeling, Dawn Of The Dead, Law Abiding Citizen, The Adjustment Bureau, and Chronicle, Now You See Me. He also appeared in the television miniseries Generation Kill and the Criminal Minds spin-off series Criminal Minds: Suspect Behavior. He currently plays Doug Stamper in the American adaptation of House of Cards. This page was last changed on 23 June 2014, at 03:00.